Sigmund Freud was an Austrian neurologist, who later became the founding father of Psychoanalysis. 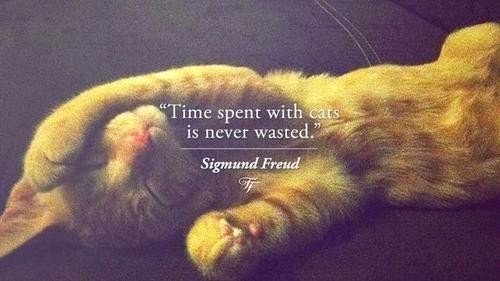 Here I have compiled down some of the best Sigmund Freud quotes on love, life and human personality. Loneliness and darkness have just robbed me of my valuables. Love in the form of longing and deprivation lowers the self regard. Instinct of love toward an object demands a mastery to obtain it, and if a person feels they can't control the object or feel threatened by it, they act negatively toward it. Religion is a system of wishful illusions together with a disavowal of reality, such as we find nowhere else but in a state of blissful hallucinatory confusion. Religion's eleventh commandment is "Thou shalt not question. Men are strong so long as they represent a strong idea,they become powerless when they oppose it.